FRISCO, Texas (March 12, 2017) – Champions were crowned in the Under-13 through Under-17/18 boys and girls age groups at the US Youth Soccer North Texas Soccer Presidents Cup presented by Dr Pepper. The field started with over 80 teams, but 10 teams ended on top with a state title and the opportunity to represent North Texas at the 2017 US Youth Soccer Region III Presidents Cup in Tulsa, Okla. Play began on March 9 and finished March 12 at Valley Ridge Park in Cedar Hill, Texas. 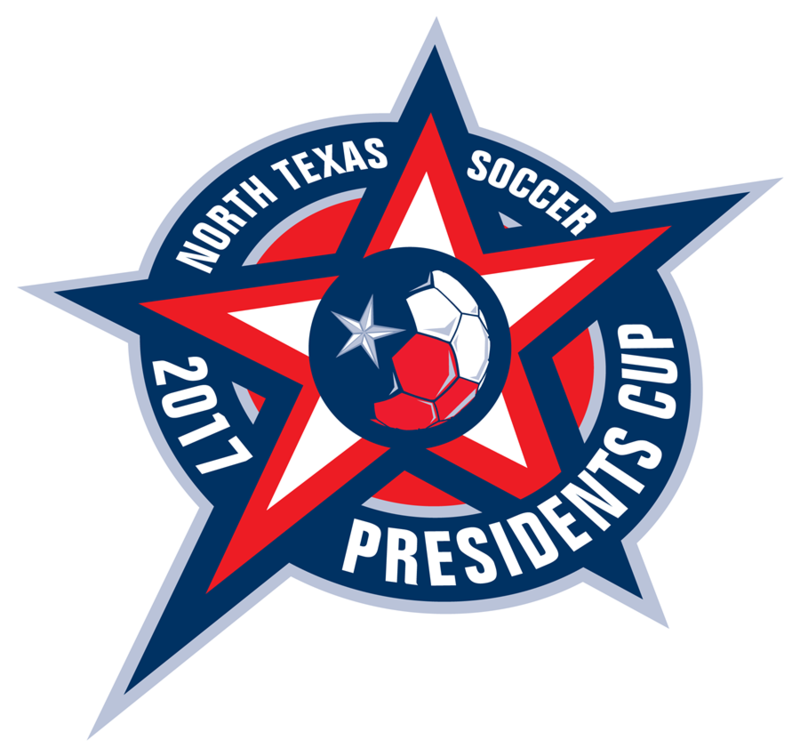 North Texas President Cup winners secured a spot in the Region III Presidents Cup at Mohawk Soccer Complex in Tulsa, Okla. from June 13-18, 2017. Regional winners will then represent Region III at the 2017 US Youth Soccer National Presidents Cup held at Lake Myrtle Sports Park in Auburndale, Fla. from July 12-16, 2017. FC Dallas Youth 04 Central completed its undefeated run at the Presidents Cup by defeating Sting West 04 Serrato for the second time this weekend 2-0 in the semifinals. FC Dallas would then edge out a 3-2 victory over Fever United 04 Penn thanks to a goal off a corner-kick in stoppage time. Chelsea East SC 04 finished off a dominating weekend with a 5-1 win over Falls Town FC 04. After going 3-0 in group play while scoring 17 goals and only surrendering two, Chelsea defeated FC Dallas Youth 04 West in the semifinals 2-0 before its finals win. FC Dallas WTX and Solar Chelsea 03 Wells entered the final round of games with hopes of advancing to Tulsa, Okla., as the two sides were neck-and-neck after three matches apiece. Solar would draw Americas FC 03 1-1, and Texas Spirit would play the role of spoiler in their 3-1 win over FC Dallas, resulting in Solar taking the Under-14 Girls title. FC Premier and Real GP advanced to the finals after securing semifinals wins at the beginning of the day. Regulation would not be enough time for either team to gain an edge, but Premier would prevail with a goal in extra time to claim the state title and regional spot in a 2-1 win. NTX Celtic FC 02 McCallum a will advance to the Region III Presidents Cup after narrowly defeating previously unbeaten Solar Chelsea 02 Hernandez 1-0 in Under-15 Girls finals. Dallas Kicks and Real GP squared off in the Under-15 Boys final after both sides won their respective groups. Dallas Kicks, who was the only side to win each of it matches capped off an impressive tournament with a 3-0 win over Real GP to advance to regionals. A run of second-half goals propelled Sting West 01 Jones to a 4-0 victory over FCUSA Texas 01 in a battle of teams that failed to concede a single goal in the group stage as both sides went 2-0 in preliminary play. Extra time was required to settle a match between North Texas club powerhouses Dallas Texans 01 Red and Solar Chelsea 01 Wells. After the score was tied 1-1, Texans would net the eventual game-winner in the second period of extra time to secure a spot at the Region III Presidents Cup. Texas Spirit and Solar Chelsea 00 Volkan advanced to the Under-17 Girls final after defeating FC Dallas 99 East and Liverpool 00 Rush respectively in the semifinals. The finals was all Solar as the Group B winners defeated Texas Spirit 5-0 in the finals. Superior Aztecas defeated Aztecs 00 2-0 to win Group B after a battle of 2-0 teams, while FC Dallas Youth 00 Central took care of business in the morning with a 5-1 win over Leon FC to win Group A. Superior Aztecas would claim the Under-17/18 Boys title after a 2-1 win over FC Dallas in the final.